Park Jin-young, president of JYP Entertainment, made an official statement on Sept. 17 to explain his stance regarding Park Jae-beom, the former leader of the uber-popular boy band 2PM. The briefing was an inevitable measure in the face of the aggressive activism from 2PM fans. It was the band’s loyal fans – who have printed advertisements in newspapers and are threatening to boycott 2PM-related products and items – that pushed him to make a reluctant speech over Jae-beom, who left the band after negative comments he made about Korea four years ago were made public. However, Park is about to make another big decision as unsatisfied fans are asking him to disclose the singer’s working contract. The fans also continue to release newspaper advertisements calling for Jae-beom’s reinstatement, in which they allude to a potential boycott of TV and other programs involving 2PM until the music tycoon takes back the member. This is a long way from the image of fans screaming or crying in front of their favorite stars’ residences. “They are quite frank about what they want and know how to get it,” online showbiz critic Fiancee said. “They have realized that they do have power over their stars. They make statements, hold protests and write appealing letters to reporters, industry insiders and others. They are becoming a ‘political power’ in a way,” she said. A while ago, SM Entertainment, which represents the boy band Super Junior, planned to hire a Chinese member for the band to woo the Chinese market. Consequently, angry fans gathered in front of the headquarters every second Saturday to protest the decision. Fan clubs are now boycotting SM products because they canceled concerts at which TVXQ was scheduled to appear. “This is our time to show SM that we are more than passive stance,” a fan said. This is the case not only with the fans of singers. When it was announced that the MBC cult hit “Tamnaneundoda” (Tamra, the Island) was wrapping up on Sept. 27, far earlier than the originally planned date of Oct. 11, fans held an online campaign to urge the station to withdraw the decision. Kim Mi-kyeong, one of the cast members, said in an interview that it was the first time she had felt such intimacy with her fans. “The fans would bring snacks, try to encourage us and make every detail of the drama an issue so that the station could give it a second thought. I never imagined in my life that fans would act to influence a TV drama,” she said. “This is a new wave of the consumer’s rights movement. They stand for the entertainer’s rights and their own rights against an offensive and cold capitalism,” Kim Seong-su, another culture critic, said. But in some cases, the depth of the fans’ affection is becoming aggressive and offensive to others. Fans of G-Dragon, the lead singer of Big Bang, bombarded the Web site of the MBC radio program “Bae Cheol-soo’s Music Camp,” and several others for raising suspicion over the plagiarism. It was later revealed that his recording company was warned over the issue by Sony Korea. MBC JAPAN started a free broadcast for the special images of "Heading to the Ground," starring Jung Yunho and Go Ara. Three films will be aired, namely, "Praying for the Success of the Drama, Plus Yunho and Ara Interview," "Close Coverage of Yunho," and "The Drama Posters’ Shooting Scenes." "Praying for the Success of the Drama, Plus Yunho and Ara Interview" includes the August 24th praying ceremony and the interview of Jung Yunho and Go Ara. "Close Coverage of Yunho" includes scenes like Yunho looking nervous for his first drama, Yunho impressing the director with his marvelous acting, the real Yunho after shooting, and Yunho lifting soccer balls after the interview. This is a must-watch for fans! In "The Drama Posters’ Shooting Scenes," you can see the fresh four starring members, Jung Yunho (Cha Bong-Goon), Go Ara, Lee Yoon-Ji and Lee Sang-Yoon. Especially for Yunho, you can watch him take off his soccer uniform (which is now the hottest topic), and you can also see him in an animal costume, and in waiter clothes, too. His style is full of variety. "Heading to the Ground" is a success story of a nameless soccer player, becoming the representative by the power of love. Since Jung Yunho (who is a member of Tohoshinki, a very popular artist in Asia) will be starring in it, the drama has become the center of public attention even before the broadcast started. Cha Bong-Goon (Yunho) has being kicking soccer balls all his life, and he became a soccer player in an unknown semi-professional team. He was a prominent player in taking soccer positions, and his ability in kicking soccer balls was very high, but he had some problems with his character. He always heated up, and was the center of problems. On top of this, his team broke up, and he was in a desperate situation. There arrived a soccer agent, Hae-Bin. She concealed the fact that she was the daughter of the team’s owner, and she had the strong will to create a career by her own. In the game of the semi-professionals, she was fascinated by Bong-Goon’s volley shoot. How would the romance between proud Bong-Goon and Kang Hae-Bin proceed? 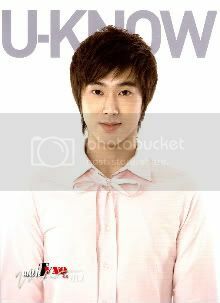 The actress Ara, who will be the sweetheart of Yunho in the drama, was the winner of the SM Entertainment contest in 2003. She was also the winner for the “Actress Audition” (total number of application: 40,000) held by Haruki Kadokawa’s office x Avex. She's truly a Cinderella girl. Her real name is Go Ara. In MBC JAPAN’s site, there is a photo gallery for the rest of the starring stars, also a must-check item. In Navicon's “I Want to Know This Point About Korean Dramas!”, there is a section called “The Wonders of Dramas.”*** We have uploaded an article concerning the hint of the title "Heading to the Ground." Please also check the article! [TRANS] 090929 JaeChun on TV Bonita!Bonita!! This is the announcement of the broadcast of TV's Aichi's 「Bonita! Bonita!! 」 on Sunday, 4th October. "There will be a message from 「JEJUNG & YUCHUN （from Tohoshinki）」 due to the September 30th release of the pair's new single ♪"
T/N: "TV Bonita!Bonita!!" is a fashion & variety show for young girls, made by TV Aichi (around Nagoya area). A short message is to be aired 4th October. After the broadcast, you can check out the gallery for the pictures of the show. T/N 2: I think it is the same show where Yunho and Jaejoong appeared in during "The Secret Code" tour promotions last 10th May. The one where a whole bunch of girls interviewed the pair, and assessed their clothing style. Feel free to respost, but please leave the full credits intact. Thanks! 10/2(Friday) 24:30～25:25 NTV 『MUSIC FIGHTER』 *with cheerful NEWS! * Broadcast of new digital single "Endlessly Sweet"
* "Please answer me!" Why do most Korean girls have straight fringe (hair)? What nickname would you give to other members? [PIC] Fanart: Keep The Faith! [INFO] 090919 A Fanmade ‘Always Keep the Faith’ Badge, Sold-Out? Hello! This is KXJHS ☆. An AKTF* GOODS official application has been closed! We would like to inform everyone that after so many revisions and investigations of the sample that the badges are to be made from, they are finally finished! 2. An additional application for the sold-out items. A metal batch substance exhibition! Especially in a time like this, Taegoon can't help but to check up on TVXQ's Hero Jaejoong. "We see each other often. But I don't know much (about things like the lawsuit). I didn't want to pry when my friend was having such a hard time. I just eat with him, have tea and things like that." Taegoon has revealed that even though he has risen to stardom, because Hero Jaejoong is such a superstar, they practically have to prepare a 007 mission every time they meet. On the morning of September 25th, Beijing time, according to South Korean media reports that MBC TV drama Heading to the Ground"'s rating are in a bitter struggle. In between the 17th and 23rd of September, the ratings were recorded more than 5 %. However, during the late 24th of September, the drama's ratings have yet again reached below 5 %. South Korea's ratings, according to research firm AGB Nielsen Company released on the morning of the 25th, statistics show that after the 24th's brodacast of "Heading to the Ground," the ratings have once again dropped back down again. "Heading to the Ground" is a drama which Jung Yunho of TVXQ stars in, and has become a popular topic. However, after the drama has begun broadcasting, there has not been much improvement in ratings, with ratings hovering around 4-5 %. TVXQ's Yoochun (Micky), JaeJoong (Hero) and Junsu (Xiah) applied for the preservation of evidence hoping to preserve contract books, account books and other relevant documents of their performing activities, and it was accepted during the trial. According to the Seoul Central District Conference on the 18th September, they had accepted TVXQ's Yoochun, JaeJoong and Junsu's preservation of evidence and rejected the application applied by SM Entertainment. The three members who asked to stop the exclusive contract with SM and had made a provisional disposition with Seoul Central District in July. [TRANS] 090924 Your worries for the Mid-Autumn Festival end now! Within three days, 2 to 5 October, a global music entertainment channel MTV will be selecting cultural contents and compile them in the special programs for a Mid-Autumn Festival. From the idols’ history, concert scenes, to unpopular street dancers’ magnificent break dance, and then to prize presentation ceremonies which Hollywood movie stars generally turned out for, allowing the audiences to choose as one desires. MTV overall includes idols’ histories who had set off a wave in 2000: GOD, TVXQ, Super Junior and SS501 in "MTV Heroes" which was active in the past and will be scheduled on 3rd October 11AM to 4PM in a marathon format. [TRANS] 090925 Bigeast News/Fanmail , New event from avex - TOHOSHINKI LIVE 2009! You are going to meet the 5 members of Tohoshinki again on the big screen! We have come to decide to have their amazing voices on the big screen of theaters - an event called "TOHOSHINKI LIVE 2009" that will include the best performances of them. We cannot reveal many details right now until this important and precious event fully starts. But how about we reveal to you a little bit about the contents...? 1. a-nation's performances, we are going to show it all! 2. Of course, the legendary The Secret Code in Tokyo Dome! Not only the all the performances at 09 a-nation! The live performance that has touched, motivated, and pleased the audience are also going full-force on the big screen, guaranteed with perfection! Furthermore, we are also preparing for the audience who didn't have a chance to attend The Secret Code tour! 3. Tohoshinki's popular PVs BEST 10! We will be showing only the BEST 10 PVs that fans vote! What rank will your favorite song be in the poll——!? Please make up your mind on your choices! Details on location, schedule and ticket will be announced on Thursday 10/1 on this website, please check it. *Tohoshinki themselves will not be at the event. *Details of the event might be altered. Please check back frequently for updates. --- 性別 (Gender)：write 女性 if female, 男性 if male. --- 年齢 (Age) : write 10代 20代 30代 etc. if you're in your 10s, 20s, 30s, etc. --- お住まいの地域 (Where you live): this requires a Japanese prefecture, just write 東京都 for Tokyo, or choose a place you like. --- List ONLY 3 of you most favorite PVs form the list that the website provides you. They won't count the 4th one on. Time to vote: 9/25 7pm - 9/29 3pm. 05 28.30 9mm Parabellum Bullet - Cold Edge e.p. Q: Which clothes do you like best on a girl? A: The clothes on the upper left corner on pg 254 in the October issue of ViVi. All the western-styled clothes are really cute in ViVi. If I was a girl, I would want all of them. The all-in-one is especially cute. [TRANS] 090922 Dong Bang Shin Ki and Public Anger! On a recent newspaper, you will notice a full-page advertisement that is totally different from the usual ones. That is the advertisement about the unfair contract of Dong Bang Shin Ki with SM Entertainment by their fanclub, Cassiopeia. That is the fruits of labor by the fans from Korea, Japan, China and all over Asia. Being able to achieve such mission for the idol group that they love and are passionate about is really remarkable. The rumors of ‘disbanding’ and the lawsuit with SM Entertainment are the reasons why Cassiopeia had to gather for the petition. In 2008, there was something similar to what is happening right now. Due to the problem with imported beef, fans were concerned with Dong Bang Shin Ki's health and had gathered. In a month's time (May), fans had gathered numerous times just for this issue alone. What are the reasons for Cassiopeia to gather for all these huge projects? Number 1 is the team spirit and the centripetal force that Dong Bang Shin Ki possess. Because of the situation and the fanclub culture, Dong Bang Shin Ki is the reason for the ability of the 800,000 members of Cassiopeia to gather, and the loyalty of Cassiopeia to the group is something that no other fanclub could achieve. Number 2; on the internet, it's a safe way to communicate. Visit Dong Bang Shin Ki's fanclub ‘DNBN’ and you will see the numerous messages by fans daily, and the exchange of the latest updates. This is also a way to keep in contact with fans around the world. Is that all there is to it? From a sentimental point of view, the eruption of anger of the passionate fans due to this lawsuit issues, has directly attracted the attention of all the media. On the other hand, it also initiates the anger from the weak towards the strong, but illegal parties. It is believed that Cassiopeia is doing the right thing by going against the illegal things being done by SM Entertainment, and this is attracting the attention of the media. Due to the anger from Cassiopeia, “Public Anger” had now become a trend online. As mentioned earlier, Dong Bang Shin Ki has 800,000 members of their fanclub, Cassiopeia. Even though the life span of idol groups is short (according to observations to date), if Dong Bang Shin Ki can survive until the end, then what should they do live up to their name, the ‘GODS of the EAST’? When they’re asked, “What was the feeling when you wrote the lyrics?” while grabbing Jejung’s shoulders, Yuchun said “A feeling like this (laughs)” showing their dazzling friendship! Jejung: In Tokyo DOME, with Yuchun singing this song while were looking at each other, truly a hard experience. The feeling was different like when we’re performing with complete members, when there are only the two of us, there’s no place to hide (laughs). Yuchun: In the middle of the song, there was part when all audiences were singing along with us “lalala~”, this part was Jejung’s idea. Actually I was pretty worried before, since this is a new song, will everyone be able to sing it together so quickly? Jejung: The purpose became true! Since the very beginning, we already decided that we’d compose a melody in which everyone could sing it easily. - For next, what do you guys want to do? Jejung: when we both of us hang out together, the one who will decide the time and the place (to go to) is always Yuchun. Yuchun will never go to a place that he doesn’t like. Yuchun: Ah….. that’s true (laughs). I will even check the place from the internet first. - In the song’s lyrics, there’s a line about the mind that is filled with colors. Have you ever seen a colorful dream? Yuchun: Never have one. But sometimes I really want to have one (laughs). Most of my dreams are sad ones, and eventually I’d cry in my dream, even when I already wake up, I still cry. - With Yuchun as your room mate, are you able to go back to that love scene (when Jejung found the lovely girl) again? Jejung: Not at all! It was really in a perfect timing (of almost touching the girl), but then I heard the sound “waa…” from Yuchun who’s crying, I was suddenly awaken!! I tried to continue my sleep, trying hard to go back into my previous dream. - If you have to pick one color, what color that is recently most reflecting both of you? Jejung: Since in recent days Yuchun has become an early riser human, so he’s a white. As for me, I’m very dark (laughs). Yuchun: Jejung is a blue black. There’s a lonely… yet cute feeling? - You both are O-blood type, you must have a lot of similarities. However, is there anything your counterpart has that makes you envy about? 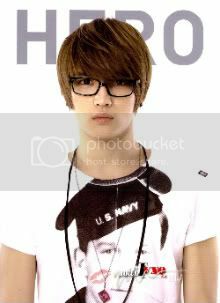 Jejung: skinny chest, very broad shoulders, when wearing T-shirt he looks so good. For myself, I have a thick chest…. Jejung: So what are you? Yuchun: (laughs) Ever since I was born, I already have asthma, so I envy Jejung who is so healthy. Jejung: But if you’re too energetic when you’re young, the energy will disappear soon, right? Jejung: It’s the same case like battery… don’t you think? - But there’s always charger (to re-charge) right? - They’re so matched even when they’re pouring cold jokes to each other. Please looking forward to their harmony! 「One of Asia’s biggest group Dong Bang Shin Ki (DBSK), has 3 of its members in a possible lawsuit against their own company SM Entertainment. DBSK members Xiah JunSu, Micky YooChun and Hero JaeJoong had gone to Seoul Central District Court to hand in an application for provisional disposition to terminate all effects of their exclusive belonging rights contract with SM on 31st July. This raised concern among fans about the group’s potential break up. By hearing this out breaking news, overseas fans have put their efforts into an international project. A DBSK’s overseas fan who’s the mastermind of this project has created a channel at YouTube and posted the video by 21st of September entitled, “동방신기 DBSK International Fansong Project 2009”. Fans are from MALAYSIA, SINGAPORE, VIETNAM, THAILAND, BRUNEI, MYANMAR, and even from USA, ENGLAND, GREECE, AUSTRIA, GERMANY, PERU, and SPAIN. These fans recorded a video of themselves singing DBSK’s song; “Don’t Say Goodbye”. Eventhough the song is in Korean, it’s not a big deal for these fellow fans. “Don’t Say Goodbye” video made by the fans is corresponding with the lawsuit case and these international fans just want to show that the different in nationalities and language spoken may not be a great barrier between DBSK and international fans. This video is one of their thousand ways to convey their love and support for DBSK, their idol. The messages are so warm and sad. The overseas fans are hoping for this lawsuit case which cause a very hard time for DBSK being solved quickly and the relationship between DBSK and their agency, SM Entertainment to be reconciled. No one can hide this good news from DBSK fans. The videos recently have become hit and many people were posting this video at their forums, blogs or other fan sites and cafes. It’s all about wishing and praying for DBSK and SM Entertainment to solve their case with peace. Sarang ingulyo (I’m only in love) by SNSD Taeyeon and Sunny for Heading To The Ground soundtrack which was released yesterday. and this is the official MV of the song. The "BOY POP FACTORY 09" event that they attended on 8/20 is going to be brodcasted on Fuji TV! 9/26 - 27:20〜28:14 - TV Tokyo's Mothly MelodiX! 10/3 - 4:00〜5:00 - "Zoom Special - A Tohoshinki that only Zoom knows - unlimited CS edition"
9/24 - 27:09〜 - TBS's "Tohoshinki 4th LIVE TOUR 2009 〜 The Secret Code〜 FINAL in TOKYO DOME"
rebroadcasting their Tokyo Dome tour in July 09! SM Entertainment (hereafter SM) filed a request to the court to cancel the submission of “preservation of evidence” application as being requested by TVXQ members Hero Jaejoong, Micky Yoochun, and Xiah Junsu, however, the request was rejected. On August 5th, Jaejoong, Yoochun, and Junsu side submitted a preservation of evidence to the court to calculate the real income distribution of all TVXQ activities from SM Entertainment. The preservation of evidences demanded including accounting books, contracts, receipts, journals, and any relevant documents related to the income distribution calculation. With the court rejection, seems that the document release by SM is now inevitable. 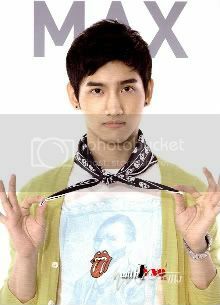 Currently both sides of SM and 3 TVXQ members has been waiting for the court decision after the first hearing on 21st last month. Girl's Generation is helping out with MBC's drama "Heading to the Ground." "Heading to the Ground" (written by Kim Solji, Kim Yaeri, directed by Park Sungsu) is a drama that is attracting much attention due to its main lead role being played by the singer-turned- actor: Asia's Star, U-Know Yunho (Jung Yunho) of TVXQ. In order to support Jung Yunho, who is their senior within the same entertainment agency, Girl's Generation has provided the OST for "Heading to the Ground." The songs in question are called "Motion" and a duet performed by Girl's Generation's Taeyeon, and Sunny, "It's Love." The piece, complimenting the pair's harmony, has first been seen in the third episode of the drama, as Cha Bong-Goon (Jung Yunho) and Kang Hae Bin (Ara) stand in front of a magnificent fountain, with the rain pouring down around them. "It's Love" is a song that reflects the sincere feelings of the passionate but rash Cha-Bong Goon and his rookie Agent Kang Hae Bin who allows him to work towards his dream of being a Pro Soccer player. The song is expected to grow to be a hit, with emotional lyrics such as "if" and "can't you see." In addition, the ending theme of episode three, the never-before-released song "Motion" was a crash project taken on my Girl's Generation in the midst of all their activities. The song is the work of Composer Kim Jin Hwan, the creator of albums such as "Ocean", "Fly Together", "Onion", "Lin/Rin" as well as of the duet piece by Girl's Generation's Jessica and SHINee's Onyu, "After A Year." "Motion," overflowing with energy and with a catchy beat, is a cute song, having been performed by Girl's Generation's Taeyeon, Jessica, Tiffany, Sunny, and Suh hyun. The song serves to lift up the atmosphere of the drama, and is intended to be used as the main track as well. Not only from fans of the drama, but music fans as well, the piece looks to be receiving a lot of love. [TRANS] 090923 Love Triangle Preview, Who is Bong Goon's Love? After being in a car accident, Bong Goon who loses his memory deepens his love line with Hae Bin and attracts the attention of viewers. Hae Bin (Ara), who gets kidnapped because of Seung Woo (Lee Sang Yoon), gets rescued by Cha Bong Goon (Jung Yunho) who risks his life instead. In the preview for the next episode, we get to see the workings of the Bong Goon - Hae Bin - Yeon Yi love triangle. Risking his life to save Hae Bin, Yeon Yi is shocked by the Bong Goon who can't remember his family or himself. Yeon Yi in rage flocks toward Hae Bin and tells her to back out of his life. After risking his life to save Hae Bin, Hae Bin and Bong Goon's hearts start to shake a little bit and Bong Goon also starts to remember Yeon Yi as his friend. However, last week Hae Bin accepted Seung Woo's confession and Yeon Yi and Dong Ho began to grow closer. The question on who Bong Goon will end up with is drawing in the viewer's attention. 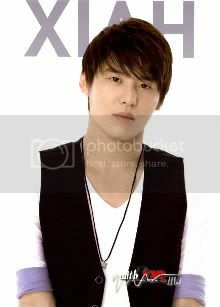 I knew about Junsu's SBS Gayo DaeJun Piano Battle through Ko-san who praises Junsu a lot. Junsu's voice was able to reach my heart. I really want to listen to his voice. Hello! Today I'm updating my blog in the evening. Then~ I just suddenly remembered this when he was singing during rehearsal. But also he completely ROCKS. I think everyone is good now. But really, he is so cool amazing, HE'S THE BEST. But I think that I'm the one whose heart has been touched the most. Even now I'm watching Tohoshinki on repeat. I'm also looking forwards to their tour DVD. That's right~ on the first day of the tour, I got fired up and put everything in dancing. It was so hotー It's been a long time since I cried in front of others. YUKI-kun was also there to support me. The band leader who saw me crying also shouted out to support me. But, let's all try out best and let's meet in the future. I'm also trying my best. I watched this on YouTube, but everyone was secretly taking peeping photos/videos [T/N: he's talking about fancams/fanpics LOL], that's not good! That made me laugh! If you do that we won't be able to dance wholeheartedly on stage. T/N: I didn't translate the last part since it's not related to Tohoshinki. I also didn't include Ko-san's emoticons and graphic stuff. He's using it too much XD If you wanna see how excited he was with all the emoticons and stuff, take a look at his blog. [TRANS] 090919 Lee Eun Mi is Part of the Same Law Firm Representing TVXQ! Lee Eun Mi (30) is attracting much attention after it has been revealed that, apart from as a singer, she is also active as a lawyer as well. It has recently been made public knowledge that Lee Eun Mi, graduate of the Seoul University Faculty of Sociology, is working for a law firm as well. This fact has been publicized after a post on a Netizen portal site on September 16th, stating that "Singer, Lee Eun Mi is working under the same law firm that is representing TVXQ." Lee Eun Mi is handling cases involving common infringement of the law by businesses, M&A, WTO•GATT, civil law, lawsuits, mediating, media censorship, etc. However, it has been revealed that Lee Eun Mi is not directly involved with the case of TVXQ's Xiah Junsu, Hero Jaejoong, Micky Yoochun and SM Entertainment. On another note, Lee Eun Mi, since her debut single "All I want to give" in 2007, has released the digital single "re: Heart" on September15th after receiving vocal training from composer Park Geun Tae for the past year. Recently, I've been trying to find out the exact number of Bigeast members. Because they do not officially announce this, members normally have to ask around to gauge the total number. To somewhat achieve accuracy, I had to search around a few Japanese fans' blogs and had decided to use BO's (T/N: person's username) and friends' records. Early August is 13,000 and on 12th September, 14,000. Now there are some saying it reached 18,000. Personally, I think it should be around 14,000, but no matter what, it's still an amazing number. The name list for this year’s China-South Korea Music Festival has been confirmed, and after 13 amendments, TVXQ’s name has been taken off the list. The participants from South Korea include: Super Junior-M, SS501, Lee Jung Hyun, Jewelry, RYAN, YEOUL, Kan Mi Yeon, Koo Jun Yup, f(x). Initially, the China’s broadcasting station extended invitations to TVXQ, but they were eventually rejected. Back in June, Tohoshinki’s Share The World was certified Gold by the RIAJ (Recording Industry Association of Japan) by achieving more than 100,000 downloads in full mobile ringtones. The recent August publication shows that the song has now reached Platinum with over 250,000 downloads. The leader of Korean idol groups TVXQ, while in the midst of a lawsuit with their company SM Entertainment, still decided to hold their 3rd Asia Tour Concert in Shanghai on the 2nd of October, to show their united charm as five. The concert is estimated to cost 88.5 billion won, which includes all stage equipment, stage tools, sound system, lighting, and flying in from Korea to China. China will sponsor the giant LED screen as background, making sure that the performance can be seen from every corner, to provide the best stage effects. Recently, Jaejoong and Yoochun are both busy with their new single promotion COLORS ~Melody and Harmony~, which is set to be aired on TV on the 23rd of September and to be officially released on the 30th of September. This week’s star is Dong Bang Shin Ki’s leader Jung Yunho, who had just debuted as an actor. “Heading to the Ground” that aired last 9th of September is a drama that he has put a lot of effort into; no matter if it’s a success or a failure, he has put in all his very best to complete it. No matter how low it started, as long as you live to the fullest, somehow it will be successful. This is what Yunho himself has experienced, and it’s also a message he wanted to deliver to everyone through Cha Bong Gun. After his debut a few years back, Yunho has always been a singer, who has now finally stepped into the acting field. He admitted that his feeling is exactly the same as his name in the drama; “Cha Bong Gun,” passionate yet uneasy. “I’m a daring person. There isn’t a thing that I’m afraid of, so this is a good name.” As a singer, he already achieved status as the top Asian group in Asia with Dong Bang Shin Ki, and as a beginner in the acting field which he is not familiar with, he is humble and had to start from scratch. His hard work and passion for acting is admirable. He once had a conversation with the producer of his drama that lasted for 6 hours when he was away in Japan, and also on the filming location. All these had shown how much effort he had put into his debut drama. In “Heading to the Ground,” Cha Bong Gun is a lively youth who is passionate about soccer, and keeps fighting hard towards his dream. This drama is filled with laughter and tears, and is a fantasy yet reality series. The strong willpower and fighting spirit are what Yunho wanted to express the most. His first taste in acting has brought him the excitement that he has never experienced before. Even if he reaches home late from filming, he’s still looking forward in going to the filming location the next day. Recently, Yunho had almost become Cha Bong Gun, and surprised himself whenever he ‘behaved’ like the character from the drama unknowingly. To date, the most memorable scene to Yunho is the one where he had to jump right into the 5-meter deep river. That refreshing yet shocking emotion is what he remembers, since if not for the filming, he would never have had the chance to do something like that. Therefore, it can also be considered as a special experience he gained from being an actor. Life is full of challenges, similar to “Heading to the Ground.” “Through filming, I had learned the pain in growing up, just like getting taller. Therefore, wait until the last episode. I might have grown up with Cha Bong Gun!” “Heading to the Ground” is not only a series where he can share with his family and friends, but also a ‘documentary’ of Yunho’s growth. To the members of Dong Bang Shin Ki, he is the reliable leader; to fans, he is an elder brother whom they can pour their hearts into; to others, he is still the young man from Gwangju. His feelings towards his hometown are deep. He would visit whenever he had a vacation, because that is where he started, and because it is the source of his strength. “Every single characteristic found in me is the result of Gwangju.” His responsible character started from his youth; whenever he failed, he would think that is all due to his weak points. Disliking halfheartedness and putting his best in everything is the only way to keep things in control, not messing up. Yunho’s father is someone important, and he has influenced him in becoming a prosecutor. His father, who had always woken up at dawn for work, has not changed one bit, always giving the tired Yunho encouragement and support. From these, it can be said that Yunho will be someone who cares for his family. The rest will not be a problem, as long as he can be with someone he likes, and as long as he never expects much from her. As for his love for kids, this is something that everyone has known for a long time. In the past, whenever he had the time, he would attempt to do all the things that he had planned for, which had slowly become a habit. Because there are so much things he wanted to do, he would normally get more tired than being at work. However, that’s something that he had to keep his mind on. For example, would he still have the energy needed for performing after his vacation. The actual purpose of his vacation is for the sake of his future work. From this, we can see that he has become much more responsible in terms of his work. Once, he had the dream to become an upright prosecutor, but he had accidentally become an entertainer. He had commented that his character doesn’t really fit into the circle of entertainment. He personally prefers to gather with his friends outside this circle, than partying with other artists. Other than work, he has always fought hard to draw a line in between, in search of the real him. [INFO] 090919: Bigeast Fan Club 1 Day Sell Event @ Avex Tokyo! On September 21st, 2009 for Avex artists fun club members. ※ As soon as the articles disappear the shop will be closed. To celebrate the 60th anniversary of the Philippines-Republic of Korea Diplomatic Relationship, the Korean embassy is holding a cultural festival November this year. The festival will also cap year 2009 as the “Philippines-Republic of Korea Friendship Year,” as stated by Proclamation No. 14298 signed by President Gloria Macapagal Arroyo last May 2008. PEP asked Kim if the Korean Embassy is planning to include among the cultural performers the Korean pop (K-pop) stars currently making waves in in the Philippine music scene today. “I think if there is a certain, a great number of audience, I think that should be a very convincing rationale that we really have to bring them here,” Kim affirmed. Besides, Kim said, the cultural festival will be borne out of “gratitude” felt by the Koreans to the Filipinos, that helped them achieve democracy and freedom in their country 54 years ago. In 1950, the Philippines sent 7,000 troops to the East Asian country to fight in the Korean war, which ended five years later. It was fought between the Republic of Korea (South) and the Democratic People’s Republic of Korea (North). “They sacrificed very much for a noble cause of defending democracy and freedom, and that’s really why we feel so grateful to the Filipino people. That’s the backdrop of the very sound relations between the countries,” he said. Kim added that this “sound” relationship made way for the two countries to forge close ties, and to enhance complentability with each other in different fields, including education. Kim explained that the complementary quality of the two cultures paved way for Koreans to migrate to the Philippines. This is also the reason, he added, why Pinoys enjoy Korean pop culture. Examples of drama series that became hits in the Philippines are Autumn In My Heart, Jewel In the Palace, Full House, Stairway to Heaven, and Lovers In Paris—the last two currently being adapted by GMA-7 and ABS-CBN, respectively, to local versions. And even if Korean songs are not played over the Philippine radio, legions of Pinoy fans are still using the Internet to enjoy music from K-pop stars like Wonder Girls, Rain, SNSD, Super Junior, Se7en, BoA, TVXQ, 2PM, Big Bang and Sandara Park’s 2ne1. FILM FESTIVAL. To celebrate the “Philippines-Republic of Korea Friendship Year,” the Korean Embassy is also holding a week-long Korean Film Festival, featuring seven award-winning films from the East Asian country. Leading the pack is Oldboy, winner of the Grand Prix during the 2004 Cannes International Film Festival. Directed by Park Chan-wook, it tells a twisted story of murderous revenge and redemption. The other films are Barking Dogs Never Bite (comedy), Sa-Kwa (romance), Beyond the Years (drama), The Show Must Go On (drama), Driving My Wife’s Lover (drama), and Forbidden Quest (period piece). Kim said the films were chosen according to how they can impart the Korean way of life to Filipino viewers. “The films can show the life of the people, the nation, the country to other countries in a very condensed way. I think they are quite representative with the life of Korea,” he said. New singer Jiang Xi Er, who participated in the establishment ceremony of the brand TVXQ members invested in [T/N: Crebeau…], appeared once again yesterday in Shanghai. While promoting her album, she also held her first conference on the real estate she is endorsing. It is reported that Jiang Xi Er did a remake of TVXQ’s representative song ‘HUG’ in her new EP ‘SO NICE’. The MV shooting was done at Shang Gong Guan[name of the real estate she is endorsing]. Under KENN’s guidance, well-known producer from Singapore, Jiang Xi Er completed the recording of her new EP. ‘HUG retained more of TVXQ’s genuine self. On the other hand, ‘SO NICE’ comprehensively and further displayed Jiang Xi Er’s individual style, which is melodious and lively. MBC’s drama “Heading to the Ground” that airs Wednesdays and Thursdays, attracted the attention this week with its action movie-like scenes. The episode of “Heading to the Ground” that aired September 17th left many clutching on to the edge of their seats, featuring a thrilling motorcycle chase that was followed by a car crash. In this episode, Bong-goon ( Jung Yunho) speeds down the freeway on a motorcycle, in a dangerous pursuit of the kidnapped Hae-Bin (Ara). Eventually, in jumping on to the car in order to save Hae-bin from falling into Lake Han, he does so himself after he manages to gets her to safety. After the filming crew managed to block off the entire bridge from the public with a single car, Jung Yunho and Ara set about displaying a flawless performance of a very difficult and dangerous scene. This scene also was the subject of much discussion as it took place in the midst of Yunho’s 4000 fans that had been invited to fill the audience stands during the fliming of Cha Bong-goon’s soccer debut scene. On September 26th, Jejung and Yuchun will appear on TOKYO FM “DHC COUNT DOWN JAPAN” as guest stars. 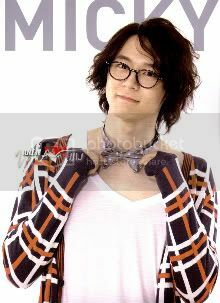 The event will be held in TOKYO FM studio, Shibuya, Spain Sakamoto. At the day of the event, we expect there will be a lot of visitors, therefore we decide for everyone who wants to watch the recording live, will be chosen by draws you need to apply. Application form is up on September 19th, on the official website. There won’t be anymore information prior to date September 19th (Sat) 01:00 pm, please notice. TVXQ Fan Club Total Number Reached The Top @ AVEX!! : Koikeya. Koikeya Uses TVXQ For Their Other Product! April 2009, research done by Avex. TVXQ Acknowledgement In Japan: Level 83%! In January 2007, it was 33%. End Of The Year 2008! Number One Fan Club Members @Avex! In Green: TVCM Two Version On Air! In Pink: Champagne: Original Goods Present! Sour Plum Taste Potato Stick. from October 2009. Are they going to buy them by the boxes and wash the bag and store them?? In Pink: Champagne: Original Quo Card Present!! And in Pinky website there is a new word on the right bottom which writes, “Message to TVXQ” coming soon. September 24 (Wednesday). 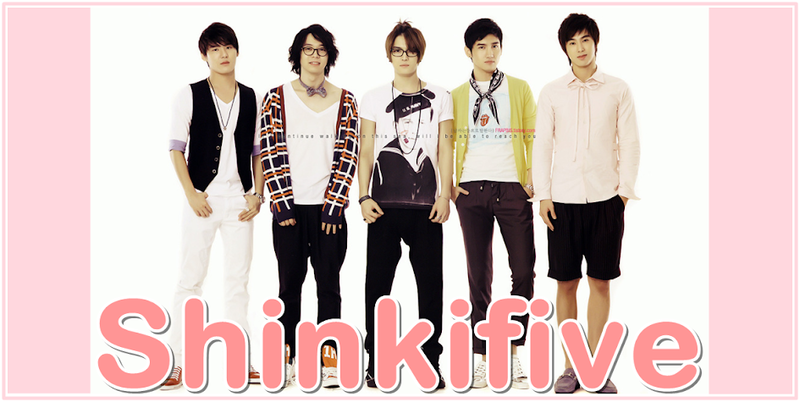 We may be able to send our message to TVXQ through Pinky website starting next week! On the last day of the Tokyo Dome Concert, together with 50, 000 fans and with a warm atmosphere, they sang together. This is the best JPOP song that was composed for the fans who have always been supporting them. What kind of feelings does this song bring? The feelings that they want to express, “Thank you, forever, thank you.”, can you feel it? - During the solo sections in the Tokyo Dome Concert in July, the song that both of you sang, “Colors~Melody And Harmony~” will be released as a single on the 30th of September right? JJ: During Tokyo Dome (Sings the song) I was too nervous, and everything was a blank in my brain. - So what was the strategy you used to compose this song? When was it composed? YC: Ah? Wasn’t me who helped you? - Then how did you guys compose? - As the both of you have worked together before, you have some understanding on each other’s composing styles. Has this made it easier to work together this time? YC: Yes, if this was the first time we worked together, I think we would have used more time. - Previously, Jejung has edited a song, then what level is it? JJ: Although I can edit songs, but I am still quite lousy at adding melodies so I decided to use this solo in Tokyo Dome to make a song that the fans in the venue can remember from just one listen, and to have the ability to hum to it and of course, a melody that is easy to understand. YC: This time, we finished it very quickly. With everything added together, it’s about a week. JJ: Also, we only spent one to two hours a day on this song. YC: And it was in the middle of the tour. 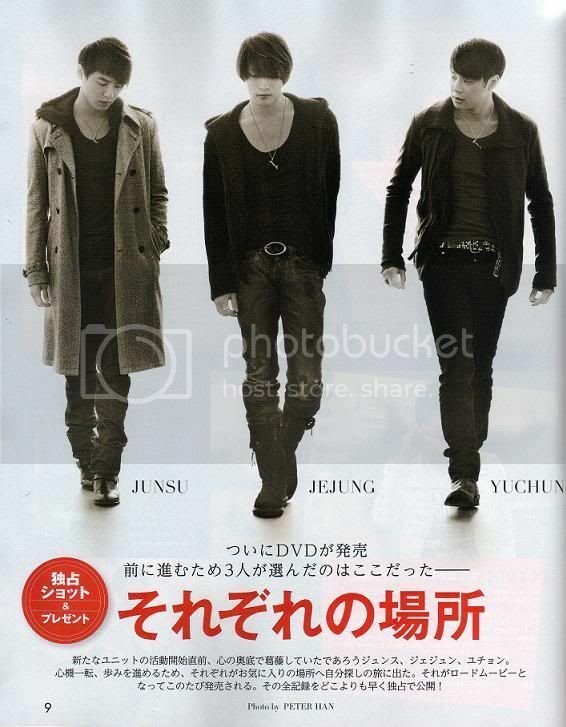 YC: For example, I wanted something that is more popular but Jejung wanted something that is more J-POP. In the end, we wanted to make music that only 2 people can make. “If it’s two people, that way is also possible”, “I also want it like that”.We had a lot of ideas and they were all handled with. JJ: In the hotel, me and Yuchun will sleep under the bed and have our edited music in our hands and say, “Try singing it”. It should be sang by two people but in the end, I was the only one singing. (Laugh). Next, Yuchun also quickly followed up. Maybe it was coincidental but I somehow felt that the feeling of working together isn’t too bad and wanted to try it. Later, we decided to use the A major to sing it together. - Yuchun, was it coincidental? JJ: In the beginning, although we wanted to use different languages to add to the melody but because we wanted the venue to sing with us, we minimized the variety and also left a lot of space between each sentence. This way, it would be easier for the fans to sing with us. - Was it Yuchun’s idea to add the rap? JJ: But I think Yuchun’s rap is very good. - The conversation between the two of you is very funny. - Yuchun’s rap.. is very gentle. JJ: I also think so. Only Yuchun can do it like that. I think this is Yuchun’s rapping style. 19:00 ~ 20:56 – bayfm “ANSWER” on air live. 13:00 ~ 15:30 – Nippon Broadcasting System “Terry Radio” on air live. 19:00 ~ 22:00 – FM Yokohama “tre-sen” on air live. 17:00 ~ 20:00 – NACK 5 “NACK AFTER 5″ on air live. From the 25th to the 31st of August, the results for the “Entertainer Popularity Survey” were determined by the Leespiar Research Institute with the participation of 1,320 males and females with an age range of 13~65 in 5 cities from around the country (metropolitan area, Busan, Daegu, Gwangju, Daejeon). In this time’s survey, the replies were collected through a 1:1 individual interview without giving examples for groups and up to 2 names were possible. The results were calculated based on the average number of responses and with a confidence interval of 95%, the margin of error is +-2.70%. Despites the ongoing legal dispute happens with SM Entertainment regarding exclusive contract effect, TVXQ’s members Hero Jaejoong and Micky Yoochun’s first half Japan activities for their first duet project is still continuing. On September 30th the two members will release a single in Japan entitled COLORS ~ Melody & Harmony ~. 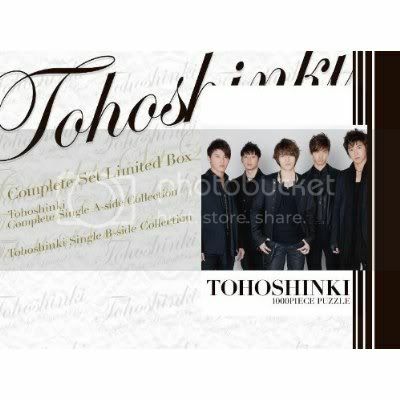 This is the first duet album of small group contains Micky Yoochun and Hero Jaejoong after 5 years of TVXQ debut in Japan. On the upcoming 23rd, Micky Yoochun and Hero Jaejoong will start their song promoting activities from Saitama FM “Nack After 5″. This duet project is included in TVXQ’s second half-year Japan activities assigned by their Japan label AVEX which had been agreed by SM South Korea during the first half year. As a group, TVXQ already finished their first half year Japan activities and currently TVXQ leader U-Know Yunho appears in MBC drama “Heading to The Ground” while Choikang Changmin is busy with full practice for his upcoming drama “Paradise Ranch”. In addition, Jaejoong and Yoochun’s duet activities and Japan sales result has been the a quadruple interest that’s attracted fans both domestic and foreign. TVXQ or known as Tohoshinki in Japan has been popular for their influential Japan music career by topping 6 times of ORICON Weekly Singles chart and recorded as the first foreign artist that has the most ORICON Top 1, showing off their music power in Japan music industry. Particularly, Tohoshinki had conducted their 4th Live Tour 2009 – The Secret Code which successfully mobilize 300,000 audiences in last July. With such popularity position, it seems that the two members’ duet project will get a good reactions. Recently, in various internet portal sites including Daum, been spreading a picture of Cha Bong-Goon’s brain structure that has been becoming hot topic among netizens. Cha Bong-goon is a football player that tends to have trouble maker personality yet having excellent skill and is a passionate young man. The biggest part that most occupies Bong-goon’s brain is “Keeping the dream”. Despites problematic life he endured regarding his father and younger brother, Bong-goon never once lose his dream to be a professional football player. “Keeping the dream” is such a tough decision Bong-goon has made, and indeed showing the big heart of his. Another parts that can be seen in Cha Bong-goon’s brain structure are: “I’ll smack down Jang Seung-woo!” which is a phrase that Cha Bong-goon always use to show his hatred towards Jang Seung-woo everytime he meets him. Other statements such as “All the sweats gone is showing the best of me.” “I’m Cha Bong-goon” and “I’m the best in chicken dance!” are his self absorption under confidence expression that has been carried through by the character of Cha Bong-goon which overflows well. [NEWS] 090917 An improvement in Yunho’s Heading To The Ground acting? A slight rating increase! MBC drama, “Heading To The Ground” is in its race. In the third episode of “Heading To The Ground” broadcast on September 16th, Cha Bong Gun (TVXQ’s U-Know Yunho, real name Jung Yunho) joined FC Soul team and for the first time showing a love line with Hae-bin (Go Ara). Yunho’s acting which had been a gathering a lot criticisms during the opening episodes became more stable than before. The following result of Yunho’s acting skill improvement, according to TNS Media Korea, “Heading To The Ground” recorded an aggregate 6.3% rating for national audiences. In comparison with the last second episode aired on September 10th, it’s a slight increase for about 0.7%. Meanwhile for Seoul area rating, “Heading To The Ground” recorded 6.6%. We were left before with Cha Bong Gun who was receiving football tryouts to become member of FC Soul team, however he couldn’t show a satisfatory skills in front of the coach. However, Hae-bin helped Cha Bong-goon not to give up and lose his passion. In “Heading To The Ground” fourth episode that will broadcast on September 17th, lawyer Seung-woo (Lee Sang-yoon) who has been vindictive person towards Bong-goon will try to abduct Hae-bin and Cha Bong-goon is saving her life. Starting from Nov 1, 2009, the CM for Oronamin C will start a new campaign! 5000 people can win the biggest ever Tohoshinki poster and a Tohoshinki-singing-Oronamin C strap! Out of 5000 people, 20 will be the lucky winners to get autographed posters! More information on Oct 30th, 2009!